A wonderful opportunity to make new friends from all over the world in our friendly modern residence. Residence accommodation offers you the chance to meet other students from all around the world. 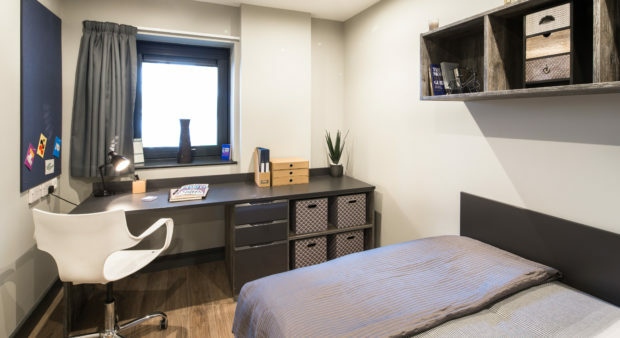 Our modern residence accommodation is called Lumis Student Living. It has excellent facilities. These facilities will provide you with a great accommodation experience. 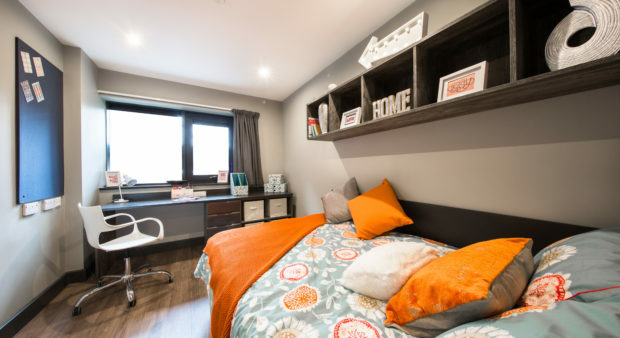 You will have your own bedroom with an en-suite bathroom. 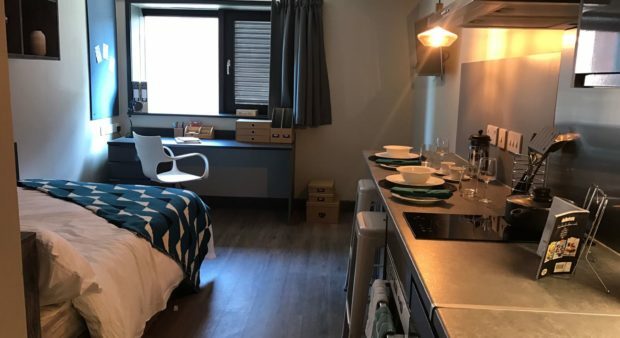 You will also have access to kitchen facilities and communal areas to relax and socialise in. The residence has a friendly atmosphere and is a great place to make new friends. You will be able to meet students from Celtic English Academy. You will also be able to meet students from the different universities in Cardiff, who live in the residence. Lumis residence is located in the heart of Cardiff city centre. It is approximately within 15 minutes’ walking distance of our academy. Some of Cardiff’s best tourist attractions, such as the Principality Stadium and Cardiff Castle, are also close to the residence. There are several cafés, restaurants, cinemas, bars and pubs near the residence as well. Why should I stay in residence accommodation? Quality modern accommodation with a range of different room types. Work and study in a quiet study space. Keep fit and exercise in. Play table football and snooker. All students who live in Lumis residence accommodation will have to pay a £100 service and cleaning fee. This fee applies regardless of the duration of their stay. This accommodation is provided by Celtic English Academy. However, it is managed by Lumis Student Living. Please visit Lumis Student Living website for more information. Residence accommodation is available from 15:00 on Sunday to 10:00 on Sunday. Residence accommodation is subject to availability. We recommend booking at least 8 weeks in advance to secure a room. The minimum age for staying in residence accommodation is 18. If you are 16 or 17, please visit our Homestay page.